"I've worked with Teresa on several occasions. She is one of the hardest working women I know. She's always wearing a smile, is so smart, and will go out of her way to help you. She gives 200%!" "Teresa is an AMAZING realtor! She had listened to exactly what we were looking for in our next home and was able to help me find my dream house in 1 day! The entire home buying process with Teresa was flawless and I would recommend Teresa to all of my friends and family looking for a realtor!" "Teresa was my mentor for many years. She taught me as well as many others the importance of dotting our I's and crossing our T's. She is extremely detail oriented, organized and dedicated to her work." Extremely knowledgeable as a realtor! "Teresa did an outstanding job of finding us a perfect first home. Teresa was extremely knowledgeable as a realtor, which was really important given the volatility of the current housing market. We really connected with Teresa given her warm personality. She worked 24/7 (answering emails/texts at 3 am) to try to find the best home for us." Fun, high spirited, and caring! "Teresa helped me purchase my first home at the top of the market. As a first time home buyer I wanted the best home I could afford in a city I wanted to live. Teresa helped me search for a long period of time to finally locate a house in the perfect location, and within my terms. I will consider using Teresa again for my next purchase. Fun, high spirited, and caring." "“Teresa was highly recommended to us by a family member, and after the incredible experience we had working with her, we understood why. She stuck by us through the entire building process, and had great suggestions and noticed a lot of things we wouldn't have thought of or realized at every walk through and meeting. Her professionalism, knowledge of the profession and availability were more than we thought possible in a real estate agent. We recommend her to everyone that says they will be listing or buying a home, and we will definitely use her in the future!”"
- -Lynn Whipple � South Lyon, MI. "Teresa provides a very personal attention and goes beyond the expected to assist you. Her attention to detail and professionalism are hard to come by. She is very efficient, hard-working and was very professional at all times. I will definitely recommend Teresa to our friends and associates, as well as seek her services in any of our future real estate transactions"
"I highly recommend Teresa for all of your real estate needs. I am an attorney and refer my clients to her on a regular basis. She is highly motivated and reliable." "Fast, proficient, beautiful work in a timely manner. Vendor for many years for Team Detroit (Studio Associates) when advertising/retouching was an art and not just a computer-generated piece. Highly skilled representative, charming, caring." "I can confidently recommend Teresa for any person in the market for real estate. Teresa has helped my family through two moves so far. Both experiences were above my expectations. She guided us through the extremely overwhelming process of buying a new home and answered all of our questions with expertise and accurate information. Teresa has an exceptional depth of knowledge in the real estate market. She can guide her clients to make sound decisions involving how to select a home that will retain or increase its value as well as steering clients clear of potentially problematic choices. Any investment should be taken seriously, and Teresa treats buying a new home as exactly that - an investment. I would not hesitate to obtain Teresa's services when it comes time to find a new home. She's not only exceptional at what she does, she's also skilled at making the process of buying a new home what it should be - FUN!" "Teresa was highly effective in selling a property during difficult market conditions. Her assessments of the property, the valuation and market impact were all realistic and accurate. She went above and beyond in negotiating and closing the deal and always had the best interests of her client in mind. I will not hesitate to call on Teresa for future real estate transactions." "The service and personal attention that you will receive from Teresa McCollom will be exceptional. Her knowledge of the local market and the community will help you in your search for your dream home. Regardless of whether you are buying or selling, I would highly recommend Teresa to help you in this life changing move. We could not have asked for a better Realtor to guide us through the process." "Teresa is one of the hardest working people I know. There isn't a time when she would not attend to business, help out a colleague or friend or a client, and make sure every detail is covered. She is a consummate professional in every undertaking and I am proud to be associated with her." "Teresa was very helpful and did an excellent and professional job in selling my mother's home. I would recommend her at anytime." "Teresa is the consummate real estate professional. She knows how, why and when things work." She Gets the Job Done! "I hired Teresa in the spring of 2008 to help me get one of my rental houses rented after trying to do it on my own for 8 months.She got it rented in a month. Great tenants. Great job by Teresa, I've used her since then as well. She gets it done!" "I had the pleasure of working with Teresa at Remerica Hometown 3. She is a true professional in every sense of the word. Her success in real estate speaks for itself. She puts her clients first and goes above and beyond to provide excellent customer service. I would recommend Teresa to any potential buyer or seller." "Teresa Is an outstanding person both professionally and personally. Her efforts have gone above and beyond her professional responsibilities. She is a person with high ethics, integrity, and accountability. She stands by you through thick and thin; even without compensation. She will exceed your expectations. You won't be disappointed friend, acquaintance, or colleague. She is absolutely wonderful!" "Teresa has coordinated a number of property deals that I was associated with. Either as the principle customer or an investor associate. She is an absolute rock star in this area with exceptional knowledge and an outstanding work ethic. She has the uncommon ability to make things happen properly, with all parties satisfied. She is my "Go To" person for all real estate needs."" "I have worked with Teresa for several years and she is fantastic. She is quick to respond and her follow through has been a great value to me. Teresa has not only been my go to person for several house purchases, but she has also always been there to provide her expertise when I was not even buying at the time............just needed questions answered." "Teresa takes things personally. When she works with a client, they are her top priority from the beginning to close and thereafter. Her professional skills and knowledge place her in the upper echelon of Realtors, but her personal commitment stands out above the rest. You couldn't have a better Realtor represent you buying or selling a home or an investment property. She's the real deal and then some." Teresa embodies what a successful real estate agent should be! "Teresa embodies what a successful real estate agent should be. Her knowledge of the housing market, flair for interior design and understanding of her buyers "wish lists" provides one with a sense of ease in buying their dream home. She makes you feel as though you are her only client! Additionally, Teresa gracefully helps her clients through the process of purchasing their home with a keen understanding of the mortgage approval and closing processes. I have referred two of my friends to her and they would fully agree. She is not only wonderful to work with but makes the home buying process fun and satisfying. One will never regret having Teresa as their real estate agent, you will become fast friends." Vast knowledge of her industry! "I have known Teresa for over 13 years. I regard her as a highly professional and influential woman. She is hard working and completely dedicated to her customers. Teresa has a vast knowledge of her industry and knows how to make things happen." "I have known Teresa for more than 3 years. She has shown me multiple houses in multiple locations. She has always provided the best honest opinion about every property she shows. She has an outstanding knowledge of the real estate business. She treats her clients with the highest integrity. She is a very hard working, very professional and dedicated to creating top quality outcomes. I highly recommend her as a real estate agent." "We are excited Teresa has joined our RE/MAX Classic Team, Teresa has years of experience in real estate sales. Teresa is educated and continues to stay educated, she is ethical and will work hard for her clients. 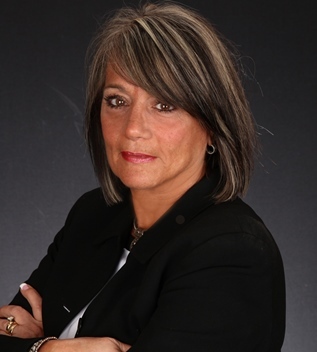 I recommend Teresa to anyone looking to buy or sell real estate."" We will use her again! "Teresa is definitely a great real estate agent. She is extremely knowledgeable and detail oriented in buying and selling. Teresa is also very personable (a must have for us) and delivers great results. She knows what we wanted in purchasing and selling. She did not improvise our standards. We will use her again!" "Teresa is wonderful and easy to work with. She tirelessly reviewed approximately 40 homes with us and each was treated as if it was the first. Teresa also possesses superb home decorating skills."